Visited a cool, damp Anaheim in mid-Jan to attend the NAMM show. With over a 1,00,000 folk passing through the convention doors over four days, the buzz at this music industry convention is powerful and contagious, this year being no less. 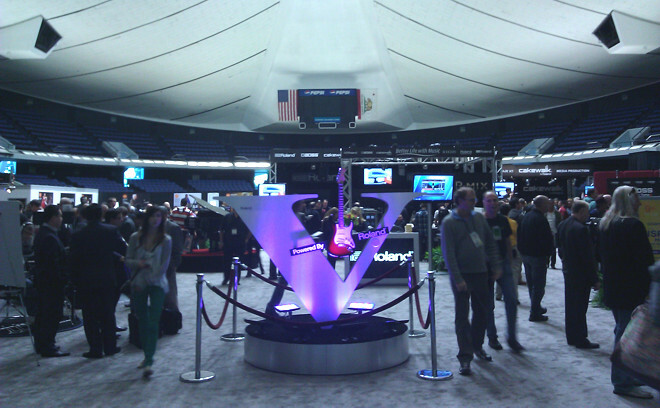 Strategically situated by one of the main entrances was the Cakewalk booth in the Roland arena where music production demos of the SONAR X1 were being held.